Did you know that brain and gut health are intimately linked? 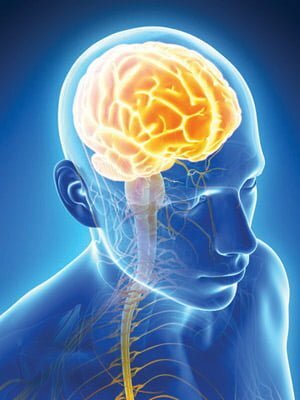 Your brain is connected to your gut via a long tube called the vagus nerve. There is a reason why the gut is called ‘the second brain!’ If you have inflammation in your gut due to bad bacteria overgrowth (dysbiosis), eating too much sugar, too many grains/gluten, or foods that you’re allergic to (gluten, dairy, soy being the most common), you’ll likely have inflammation in the brain as well. That may manifest as autism, ADD, ADHD, depression, schizophrenia, and other mood disorders and eventually result in neuron bundle damage, dementia or even Alzheimer’s. The inflammation in the digestive tract can begin early in life and worsen over the years, eventually resulting in brain inflammation and the listed mood disorders. The GAPS diet: Gut & psychology syndrome. This particular healing diet plan is based on the work of Dr. Natasha Campbell-McBride using specific foods to heal the gut and therefore improve brain health. I’ve been studying the connection between gut & brain health for a long time. Technically called the enteric nervous system, this second brain controls the gut function independently of the brain. There is a significant amount of the feel-good neurotransmitter serotonin produced in the gut. Intestinal inflammation can lower serotonin production, exacerbating depression and even contributing to constipation. That’s why anti-depressants (SSRIs or selective serotonin reuptake inhibitors) can cause digestive upset or side effects. Because of this connection between gut and brain health, it only makes sense that healing the gut can improve certain mood disorders or neural conditions. The GAPS diet is similar to Elaine Gottschall’s Specific Carbohydrate Diet which eliminates certain complex carbs (like grains, starches) because they are not easy to digest and actually feed the harmful bacteria in the gut. The addition of so many processed grain based foods into our food supply has brought us to a place where digestive related illness is on the rise. And depression and mood related disorders too! We want to get back to a place of absorbing easily digestable nutrients in food and reversing the malabsorption that occurs as a result of our highly processed Standard American Diet with too many grains and complex carbs that aren’t easily digestable. This stuff can get pretty (needlessly) complicated with lists of foods on a do and don’t list. The GAPS diet–which is appropriate not only for the mood disorders but also to heal the digestive tract in the case of Crohn’s, IBS, colitis, celiac, etc, and even chronic constipation, bloating, gas, and other digestive concerns–has you go through an introductory phase and then introduce other foods over time. It’s basically a more complicated version of the diet I preach: eggs, meats and fish, shellfish, fresh vegetables and fruit, nuts and seeds, garlic and olive oil. 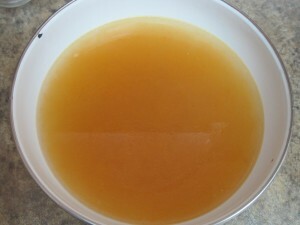 Plenty of broth and even raw egg yolks from free range chickens. Avoid these foods: sugar, sweeteners, aspartame and artificial crap, desserts and sweets, booze, processed foods, grains (rice, corn, rye, oats, wheat and anything made of wheat flour (breads, pasta, biscuits, cakes and anything from the bakery, anything with bread crumbs or batter), buckwheat, quinoa, millet, couscous, spelt, semolina, tapioca, etc), breakfast cereals, starchy vegetables and anything made out of them (potato, parsnips, yams, Jerusalem artichoke and sweet potato), milk, fruit juice, soy, coffee, beans. This type of diet will reduce intestinal inflammation (and brain inflammation) and help heal leaky gut while also boosting good gut flora. Win-win! One also must take probiotics and use broths and fermented cod liver oil for healing. I recommend this type of plan to all my clients with digestive concerns. The GAPS diet can be very beneficial for children with autism, ADD, or multiple food allergies. Click here to learn to make the healing broth recipe to use in conjunction with the diet, at least twice daily for digestive repair. I recommend adding sea vegetables like kombu or kelp to your broth for extra adrenal enhancing minerals. It is very important to consume all the fat in the stock, as these fats are essential for the healing process. When cold, the fat/gelatin will solidify on the top. Just spoon out a portion and heat and sip. Take this with a probiotic, or add a little juice from sauerkraut or cultured veggies to the stock before you drink. If you are going to consume grains, always soak them overnight to increase digestability. Traditionally prepared grains were soaked and fermented to break down the undigestable components. Best foods for inflammation = meat, fish, eggs, lots of vegetables and lots of good fats and omega 3s!